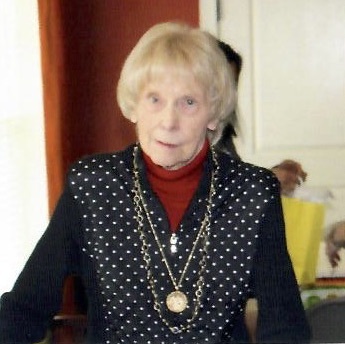 Visitation- Friday January 25, 2019 from 2-4:30 & 7-9:30 p.m. at our West Sayville Funeral Home, 245 Main St.
Dorothy Patricia McArdle, a resident of Sayville since 1990, passed away on Tuesday January 22, 2019 at the age of 93. Dorothy was an active congregant of St. Lawrence the Martyr R.C. Church and volunteered her time helping the St. Lawrence Thrift Shop. Dorothy was also a member of the Catholic Daughters, one of the oldest and largest organizations of Catholic women. She was an avid reader, enjoyed her time traveling, and most importantly, was tremendously devoted and dedicated to her family. Dorothy is survived by her children Jack and his wife Debbie, Joan Malik and her husband Ken, Maureen Repole and her husband Don, Bill and his wife Emily, Denis and his wife Abbie, and Patricia and her husband Robert, her grandchildren Jennifer, Bryan, Christopher, Steven, Peter, Kristyn, and Jacqueline, and her 10 great grandchildren. She is predeceased by her daughter Eileen. Donations in Dorothy’s name to St. Lawrence Parish Outreach, 27 Handsome Ave., Sayville, NY 11782 would be much appreciated. Please make checks payable to: "St. Lawrence Parish Outreach"